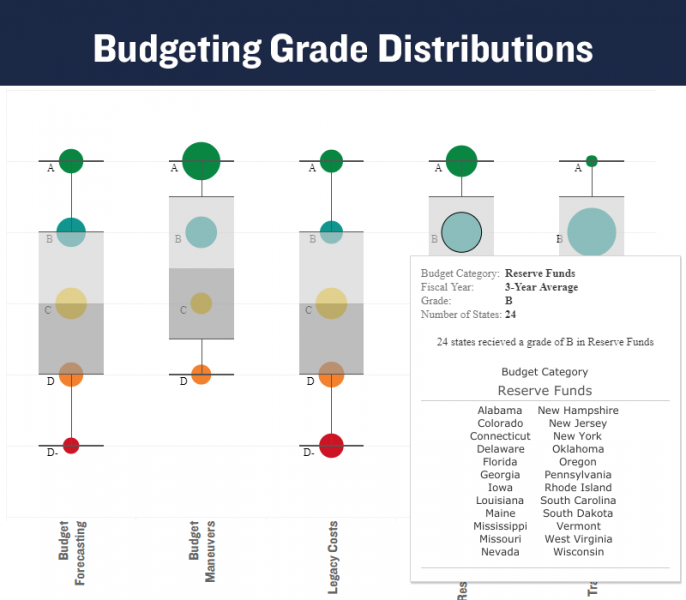 Select a Fiscal Year (or 3-Year Average) on the data visualization below to explore the budget category grades that each state earned. 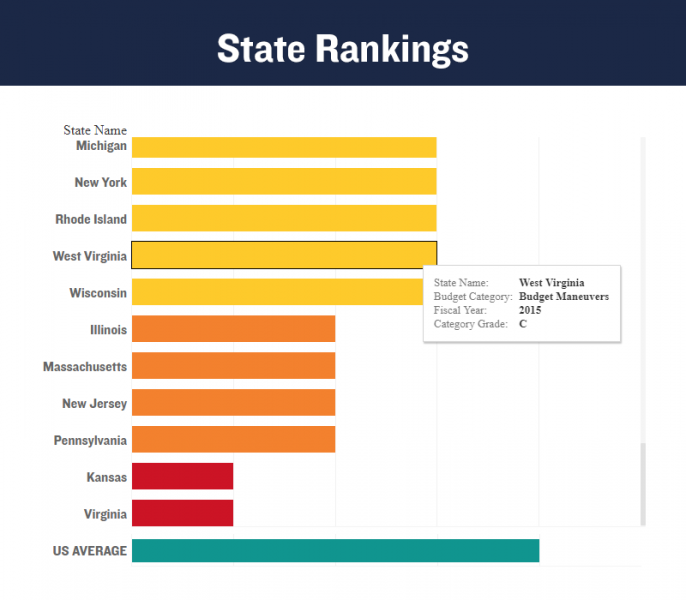 States are listed in alphabetical order, but can also be sorted by grade (by clicking the 'sort' button in each category header). 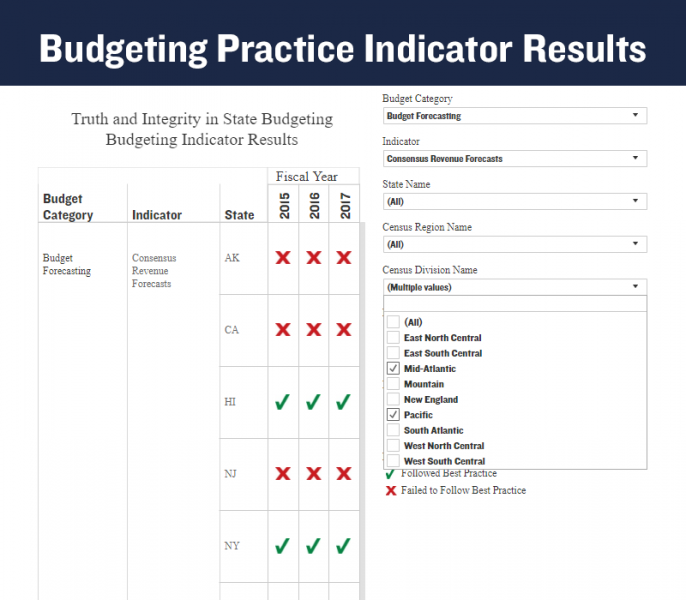 You can also sort the list by each particular state's grades to see in which categories a state performed best and worst (by clicking the 'sort' button in each state's header). Refresh the page to return to the default view.